A handful of intercessors in the Hebrides, off the coast of Scotland, came together to pray in the late 1940s. When God answered their prayers, revival swept the islands, and entire communities experienced the Holy Spirit's power. 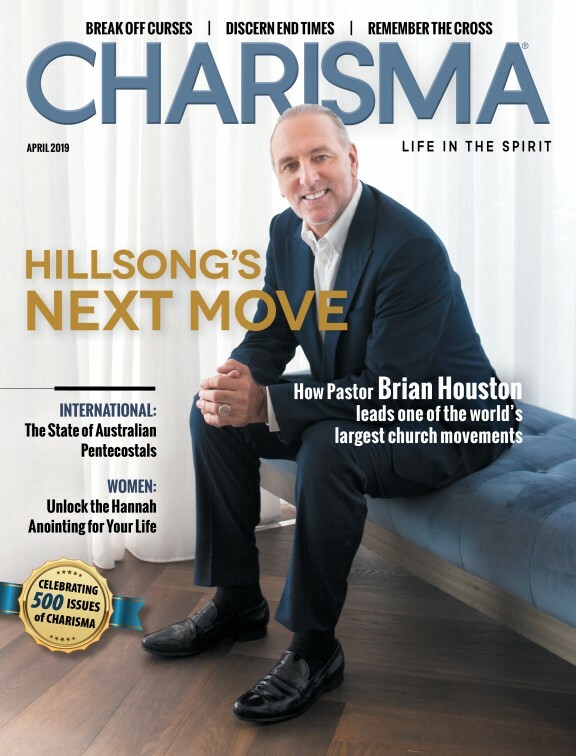 Mention the word "revival" among modern-day charismatics, and you're likely to call up associations such as Toronto, Brownsville, Smithton and other well-known "hot spots" in the current move of God. Though some of these locations may not be quite as "hot" as they once were, they still seem to be our standard for defining a powerful visitation from the Lord. "When men in the streets are afraid to open their mouths and utter godless words lest the judgment of God should fall; when sinners, overawed by the presence of God, tremble in the street and cry for mercy; when, without special meetings and sensational advertising, the Holy Ghost sweeps across cities and towns in supernatural power and holds men in the grip of terrifying conviction; when every shop becomes a pulpit, every heart an altar, every home a sanctuary and people walk softly before God--this is revival!" Today, the manifestation of God's presence is generally confined to a church setting. We don't see people falling under conviction in the streets or deserting bars or pornographic theaters in large numbers because God has showed up. Have we become satisfied with too little? Consider Murphy's description of the Welsh Revival of 1904: "Like a mighty tornado, the Spirit of God swept across the land until mountains and valleys, cities and villages were filled with the mighty manifestations of God. Churches were crowded, and meetings went on day and night. Prayer, singing and testimonies would sweep over congregations in torrents and hundreds turned to Christ. Never in the history of Wales had such indescribable scenes been witnessed." Murphy tells how G. Campbell-Morgan, after witnessing the scenes of revival in Wales, returned to the congregation he was pastoring at Westminster Chapel in London and declared, "'Here is revival that comes from heaven....It is sweeping over hundreds of villages and cities, emptying saloons, theaters and dance halls, and filling the churches night after night with praying multitudes. "'Go where you will--into the bank, the store, the trains. Everywhere men are talking about God. If you could stand above Wales...you would see the fire breaking out here and there and yonder and somewhere else without any prearrangement. It is a divine visitation from God...in which God is saying to us, "See what I can do without the things you are depending on; see what I can do through a praying people who are prepared to depend wholly and absolutely upon Me."'" Murphy continues: "Like a tree shaken by a mighty storm, Wales was moved by the power of God until almost every home in the nation felt its impact. Newspapers in bold headlines carried the news of the amazing scenes taking place. So great was the fear of God that in some communities crime virtually disappeared. In more than one place the post office's supply of money orders was exhausted as people sought to make restitution by paying their debts. "Saloons and theaters were closed, and stores were sold out of Bibles and New Testaments. Members of Parliament postponed their political meetings. Theatrical companies found no audiences. All the world was praying. "Now that's what I call revival: a mighty God moving on behalf of men and women who have cried out to Him." I believe God wants to release His awesome power on the earth today as He has in other eras. He is already preparing the way through dedicated, praying, believing people. But as a body we need to get hold of His promise--and the truth that He is a covenant-keeping God who fulfills His Word.